Everyone needs to be on a budget and creating your own monthly budget planning spreadsheet Excel template is the perfect way of staying on top of your finances. When you create a monthly budget planning spreadsheet Excel template you will not only keep track of your money, but also figure out where you are falling short. 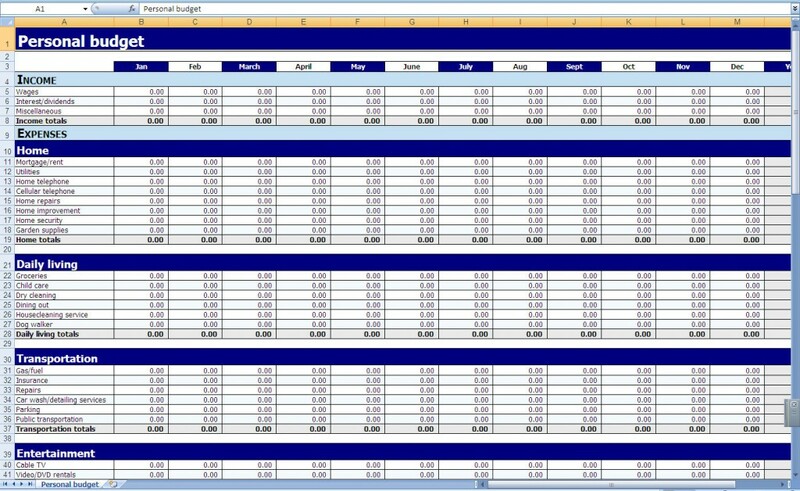 The best way to create your own monthly budget planning spreadsheet Excel template is by downloading the template that is available on this page. The best part about creating this monthly budget planning spreadsheet excel template is that it is free and easy to use and excel is the most downloadable option that there is out there. Here is a step by step guide to get your new budget template up and running. First, dig up every piece of financial information you can get your hands on. Because this has to do with things on a monthly basis, the more you dig up the better. Record all of your financial data and monthly expenses–If you are self-employed than keep track of the money you make and record it. If you earn a paycheck every week, from an outside source, than make sure that you record the net income. Also keep track of all of the expenses that you will have every month, from small to big. Break these expenses every month into two places: fixed and variable. It’s important to know which expenses are the ones you have over and over and which ones you will only have once in a while. Total your expenses and income columns. If you are bringing in more income than your expenses total, than this is a good thing. But if you are putting out more for your expenses, when compared to how much you are making, than you will need to rethink a few things. Review your expenses and your income. If you are putting out more for expenses than your actual income will allow you to do, then look to see where you can make cuts. If you can make some cuts with some of the variable expenses and letting go of expenses that you don’t need, than this will help you to loosen up the budget. 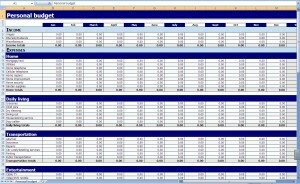 Additional excel templates can be downloaded here.